In this narrative, Dr. Judy Dercksen, a family physician in rural British Columbia, shares what it’s like to manage chronic pain in a busy rural office setting, in the face of an opioid crisis. She wrote a Humanities Encounters article published in CMAJ called "Pain warrior." To read the article: www.cmaj.ca/lookup/doi/10.1503/cmaj.180957 ----------------------------------- Music: Friday Morning by Kevin MacLeod, YouTube audio library ----------------------------------- For more stories like this one, get your copy of CMAJ’s Encounters Book. This anthology of prose and poetry of some 100 Canadian authors including Drs. David Goldbloom, Shane Neilson, Allan Peterkin and Monica Kidd, has been specially curated and includes a study guide. 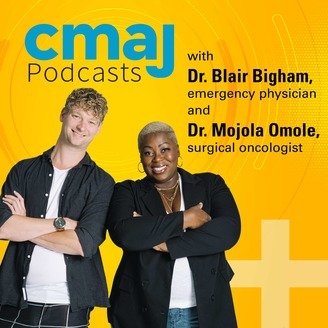 shop.cma.ca/products/encounters ----------------------------------- Subscribe to CMAJ Podcasts on Apple Podcasts, iTunes, Google Play, Stitcher, Overcast, Instacast, or your favourite app. 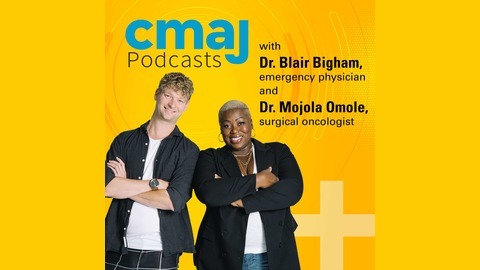 You can also follow us directly on our SoundCloud page or you can visit www.cmaj.ca/page/multimedia/podcasts.